This is more to my taste…..natural.....natural color. 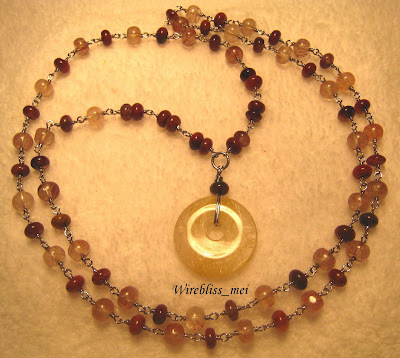 This necklace is made of rutilated stones of three different colors. They are dark brown, reddish and golden donut for the pendant. 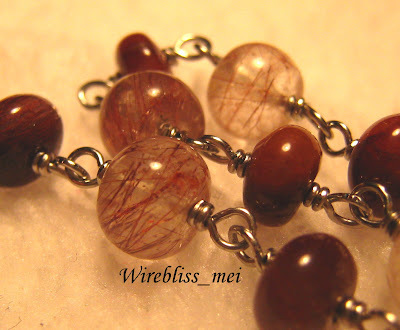 The length is about 33 inches and wrapped with 25g stainless steel wire. The wrap for the donut is not neat enough but will redo it later.